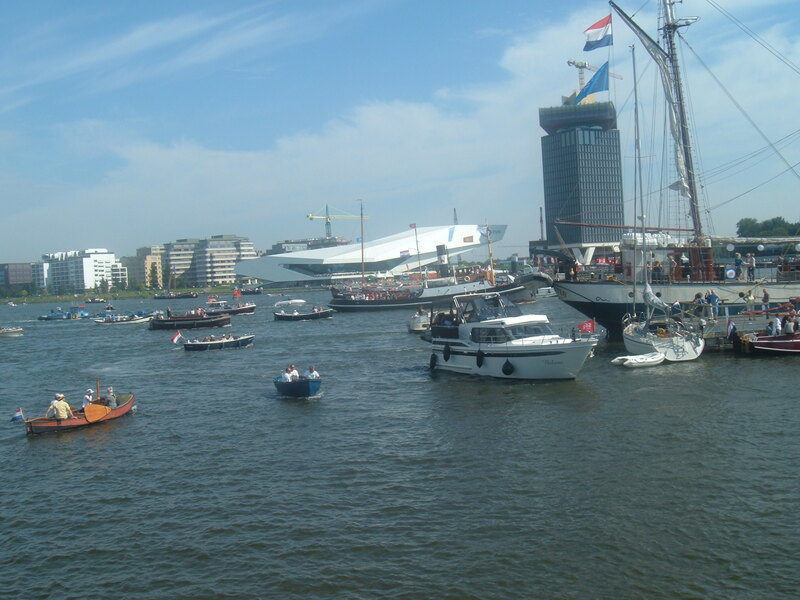 Yesterday I went to Amsterdam Sail 2015. It’s a nautical event that only happens once every five years and it attracts visitors from all over the world. This visitor would have remained blissfully ignorant of its existence, but a friend told me about it and suggested I go. Sail is a five day event. It began on Wednesday and ends today. I’m quite surprised I never heard about it sooner, but I spend most of my days researching and writing articles, or studying languages. The only time I see any news is when I log out of Microsoft Mail and am automatically directed to Microsoft News. 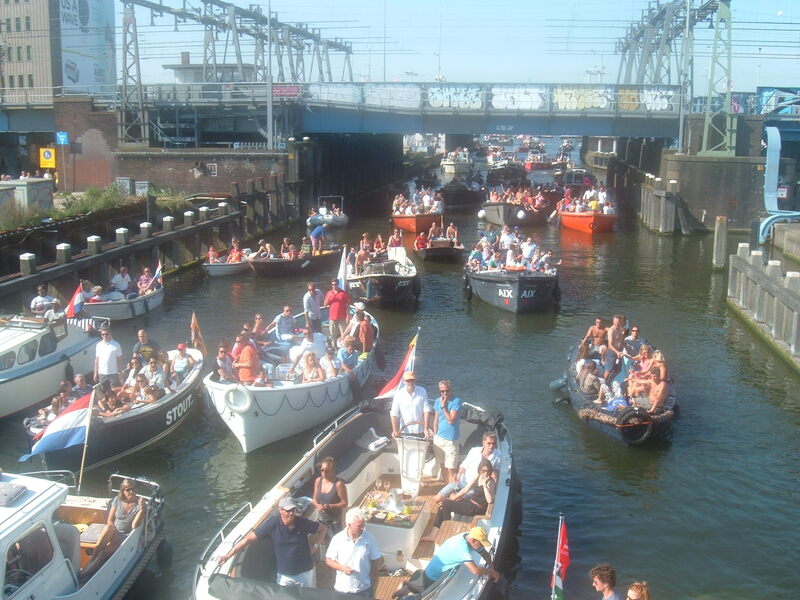 Even though I knew there was a five year gap between each “Sail” I never gave much thought to how popular the event must be until I got on the train from Utrecht to Amsterdam. There was standing room only. Then when I got off the train it was a case of getting in line and queuing for the exit. Amsterdam Centraal is always a busy station, but that’s the first time I’ve ever had to queue to leave a platform. 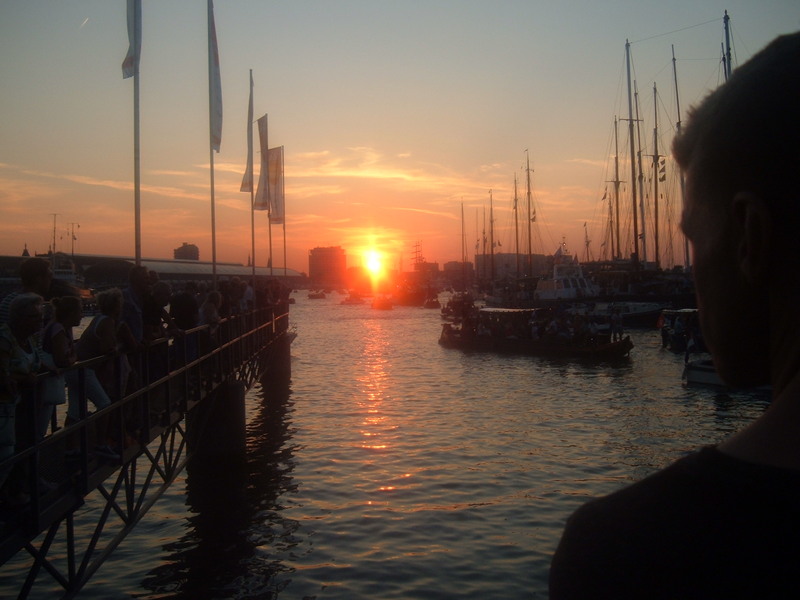 On my past visits to Amsterdam I have always used one of the exits at the front of the station, but most of the Sail activity is on the big lake on the other side, so this time I used one of the back exits. The station looks very different from that side of the building and no tram-dodging is required. To be honest about it, I normally don’t find boats all that interesting, but I could not help but be amazed when I stood and watched all the various different sizes and types of vessel sail past. There were some big ships . . .
And some small boats as well . . . There were a lot of other interesting things happening too, but apart from the boats the only other things I spent time watching were the street entertainers and singers. A firework display was scheduled for late on the evening and I kinda wanted to stay around and see it, but in the end I caught the train back to Zoetermeer at around 22:30. I did see a few fireworks though. When I looked out the window as the train passed through Den Haag I saw them light up the sky even though the distance between Den Haag and Amsterdam is around 70km. 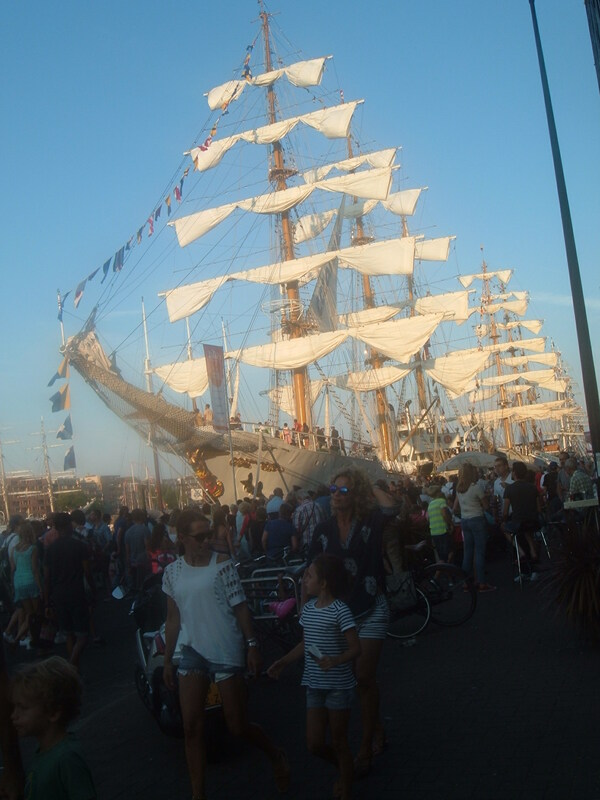 I’ve added a few pictures to this post, but if you want to get a better idea of what a big event sail is, the video below should prove to be interesting viewing. I might as well close this post with a few more boats . . .
And a picture of a sunset . . .